For the past year, Thailand has been engaged in a national 'Year of Mourning,' to pay homage to the late King Bhumibol Adulyadej, who died last year at the age of 88. In order to pay their respects, millions of Thai residents have worn outfits consisting only of the colors black and white. The Year of Mourning came to an end on Thursday, when King Adulyadej was cremated in a ceremony that was broadcast nationally across Thailand, a ceremony that would make even the wealthiest of individuals blush. On Thursday, King Bhumibol Adulyadej was cremated in a ceremony that cost an estimated $90 million. Thursday was Day 2 of a 5-day ceremony for the late monarch. Representatives from 42 countries, with members of 16 royal families. U.S. Defense Secretary James Matthis, Prince Andrew of Britain, Queen Sofia of Spain, the governor-general of Canada, the queen of Sweden, the queen of Belgium, and the kings of Lesotho and Tonga were all guests at the ceremony. 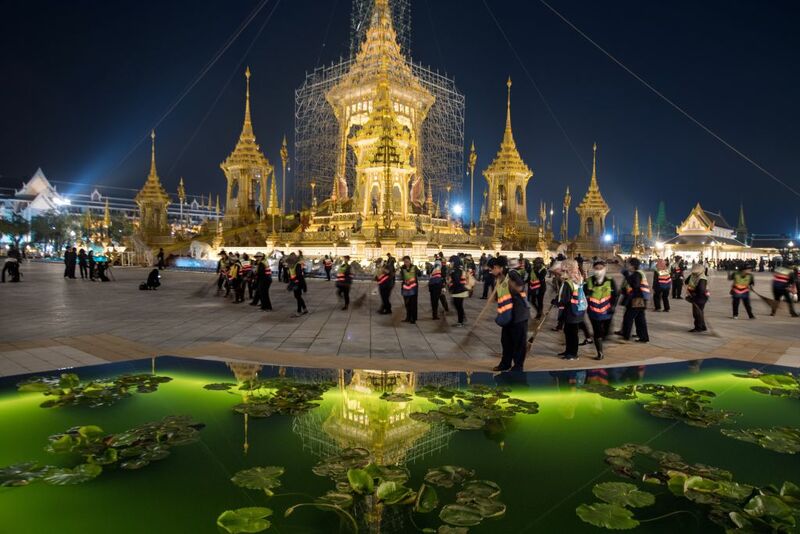 In order to celebrate the life of King Bhumibol, also known as King Rama IX, the ruling military junta built a 164-foot royal pyre that was decorated with nine gilded spires, and a statuary of the late king's favorite pet dogs. The pyre took 10 months to build. The military junta also built 85 replicas across Thailand to allow people local access. The government prohibited "festive" TV programming and required everyone in attendance to wear somber clothing. King Bhumibol's son, King Maha Vajiralongkorn, led the cremation services. The late king's ashes will ultimately be put in the Temple of the Emerald Buddha. King Vajiralongkorn will formally be made king of Thailand later this year, after the funeral activities have been completed. At the time of his death in October of last year, King Bhumibol was the world's longest reigning monarch. He began his reign in on June 9, 1946 and reigned until his death on Oct 13, 2016. He also was the richest royal in the world, with an estimated net worth of $30 billion. Beloved King Bhumibol Adulyadej died in October, leaving the nation mourning for its longest reigning monarch of all time. Now, Thailand has named their new King. The King of Thailand, Bhumibol Adulyadej, is the richest and longest serving monarch in the world. His country was also just seized in a military coup. What will happen to the country when he's gone?